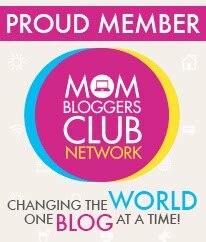 As a mom I like to give my children the freedom to create just not on my walls, which they have and all but one has outgrown that so I think we are nearing the end of painting to cover up drawings. 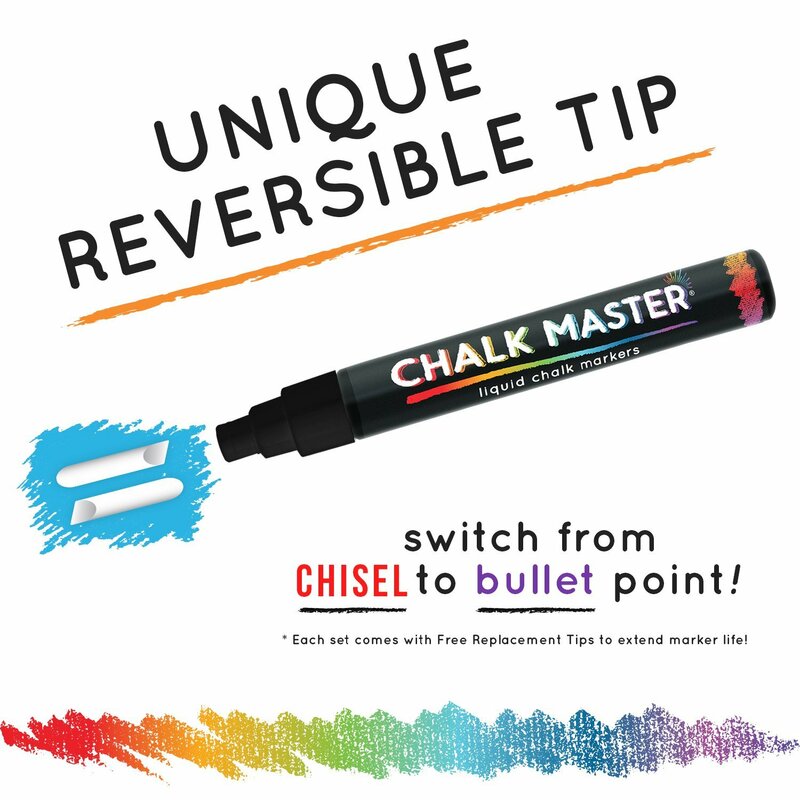 Personally I love these chalk markers better then dry erase markers because I haven't had one leave a residue behind yet. 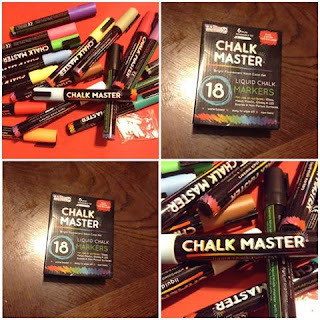 They are easy to draw, and write with, come in an array of colors, 18 in this set, clean up well, while allowing your inner creativeness come out. 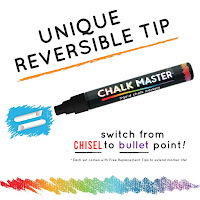 These Chalk Markers from US Art Supply come with extra tips and the tips themselves can be changed from chisel to bullet point very quickly. 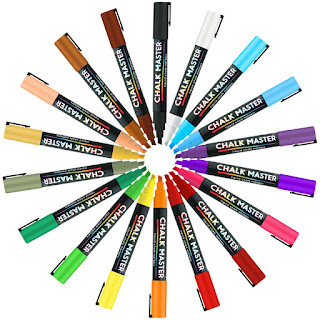 You can find the Chalkmaster Ultimate 18 Color Chalk Marker Set from US Art Supply on Amazon.